Nothing compares to a loaf of freshly baked bread! Ever since I was a kid probably around the age of 12 years old, I have loved making yeast bread and rolls. There is something so therapeutic about working with yeast everything from the kneading process to the first slice of the finished product! Somehow homemade bread to me is one of those foods that makes a house feel like a home! If you are looking for a tasty home bread recipe with wholesome ingredients, this homemade bread recipe is it. It uses a combination of whole wheat and white flour and is sweetened with honey! 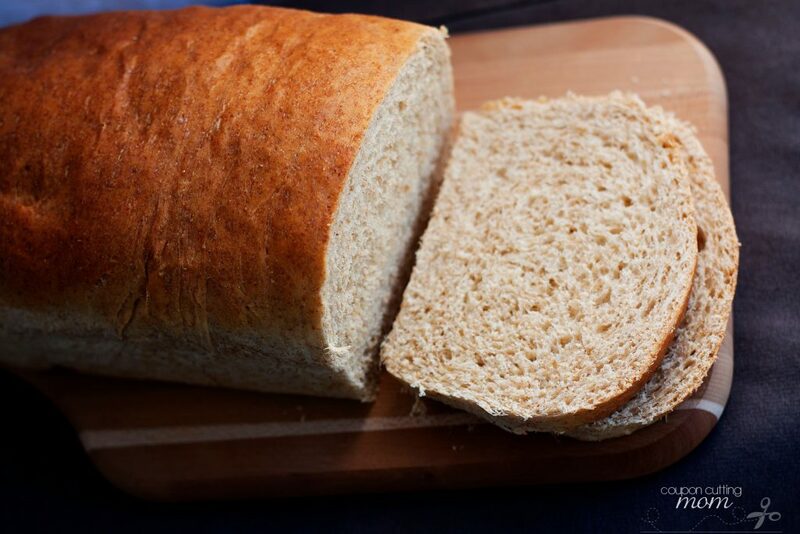 This homemade whole wheat bread recipe makes three loaves of bread. At our house, a loaf of bread goes rather quickly as we like homemade bread slices for our toast in the morning and also for sandwiches at lunchtime. Since this is homemade bread without preservatives, it won’t last real long before it starts to mold. To buy extra time on the second and third loaves, I have found wrapping them in saran wrap and keeping in the refrigerator is a great way to store it until you are ready to use it. Freezing the second and third loaf is also another option for keeping them fresh until you are ready to use them. 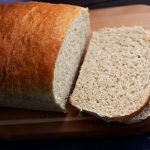 This recipe creates a soft yummy homemade bread that slices well and is perfect for everything from toast to sandwiches. It is sweetened with honey which makes it healthier for you than a recipe sweetened with sugar. It makes three loves which is a good thing as we often devour most of the first loaf right after it comes out of the oven because there is nothing like a warm slice of homemade bread slathered with butter. 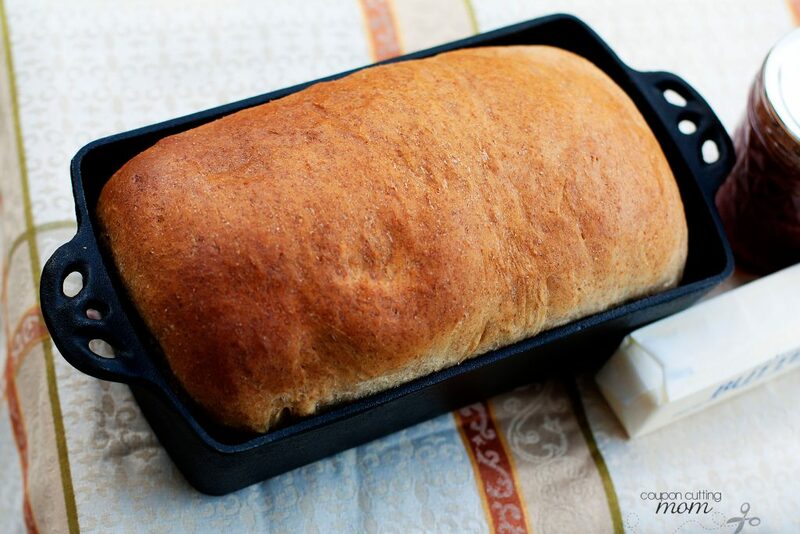 Yummy homemade bread with wholesome ingredients! 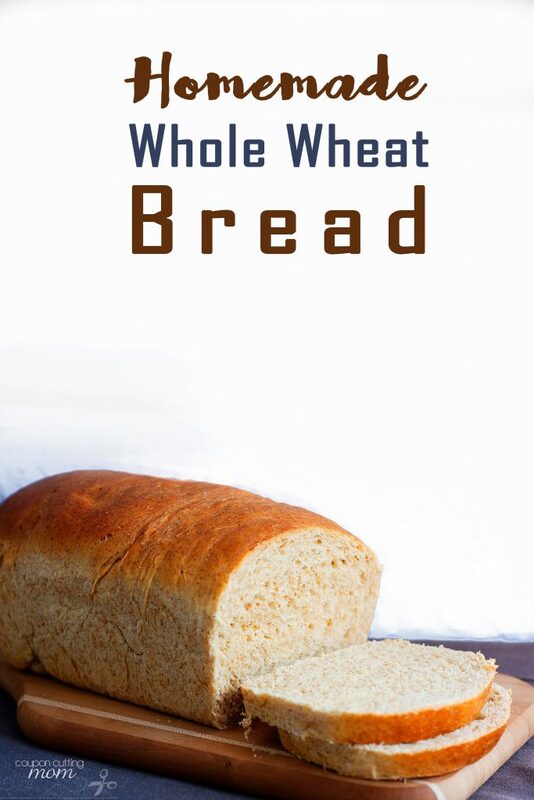 This whole wheat bread recipe uses a combination of whole wheat and white flour and is sweetened with honey. Dissolve the yeast in the warm water and let sit for about 5 minutes until it is foamy. Add the oil, honey, salt, and eggs to the yeast mixture. Stir in the 3 cups whole wheat flour. Add in the white flour until the dough just pulls cleanly away from the bowl. Transfer it to a well-floured surface and knead until it becomes elastic and smooth. 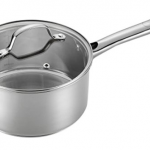 Place dough in an oiled bowl covered by a damp towel in a warm place to rise. Let rise until doubled in size (about 1-2 hours). Punch down and form into three loaves and place in baking pans. Let the bread rise (approximately 1 hour until it is desired height of finished loaf) and bake at 350 for about 20 - 25 minutes.